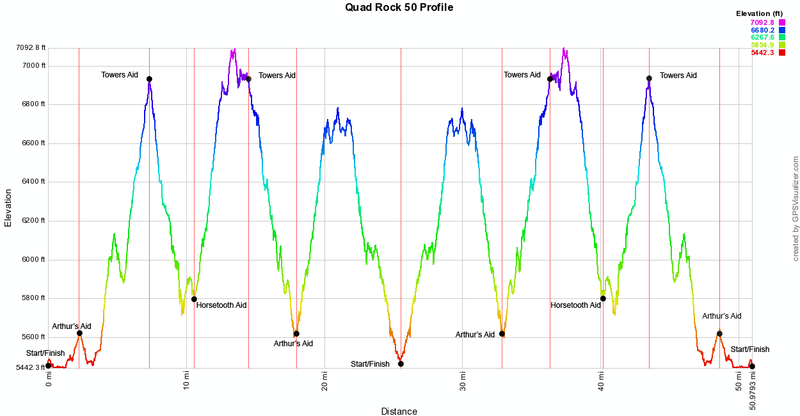 Originally , my plan was to run the Collegiate Peaks 50 on May 5th April 28th, but I just came across the QUAD ROCK 50 on May 12th with 11,000’ of gain – over twice the gain. It looks Awesome!!! And I really love the Fort Collins area, so I think I am changing. Start: Lory State Park (Soldier Canyon Picnic Area), Fort Collins, CO.
Jill: You did Pikes Peak, you could fly on this course. It has a third of the gain, just stretched over 25 miles. The best part about a race like this, is you are going slow enough to enjoy the view. You will even have a faster time than PP. A walk in the park! AND it is beautiful! Jill: So are you in or what? Registration starts today . . .
Best of Luck in Fort Collins! Thanks, I must have had a previous year's date or something. Totally missed that. Yea, I have some training to do and Fort Collins will be a blast . . .